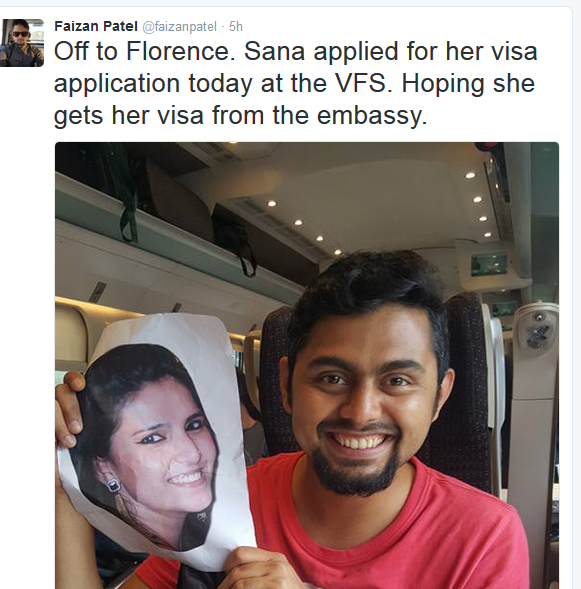 Indian couple Faizan Patel and his wife Sana were preparing to leave for their two-week trip to Italy earlier this month when Sana discovered her travel documents were nowhere to be found. 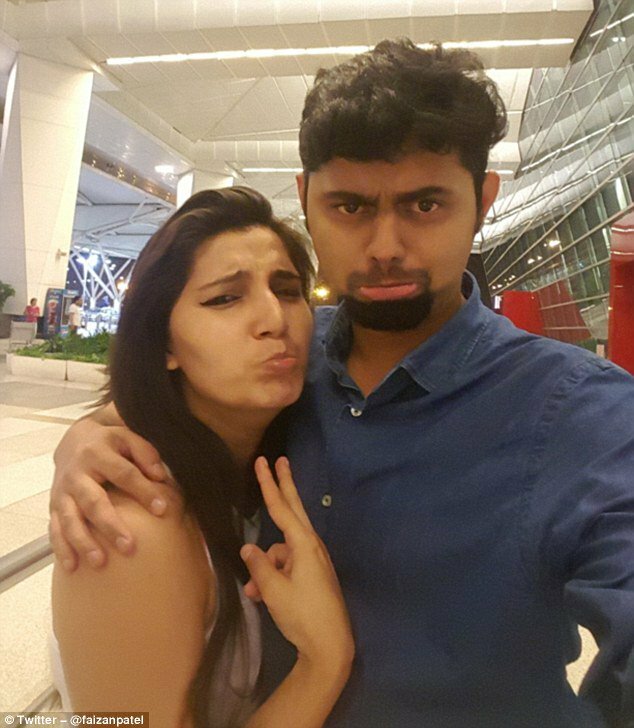 So, Faizan was forced to start the first leg of their holiday on his own. 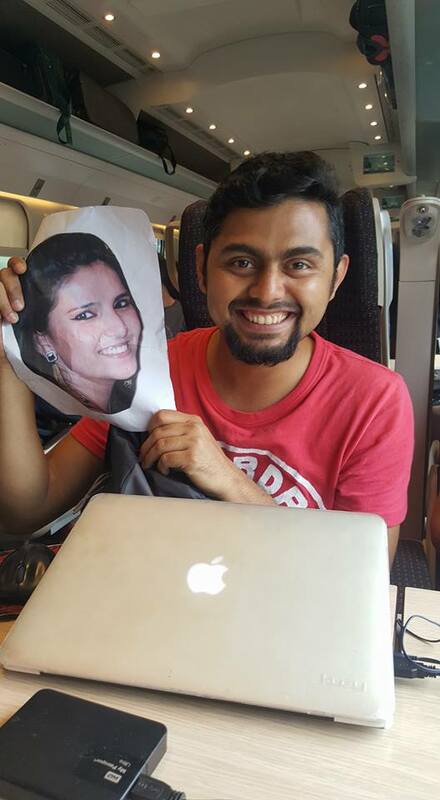 The photographer tweeted an image of himself travelling on a train with a picture of his wife on the chair next to him for company. 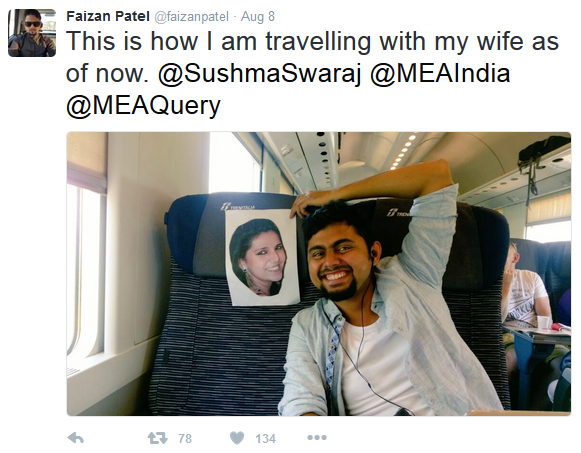 'This is how I am travelling with my wife as of now', and copied in the Indian Minister of External Affairs Sushma Swaraj. 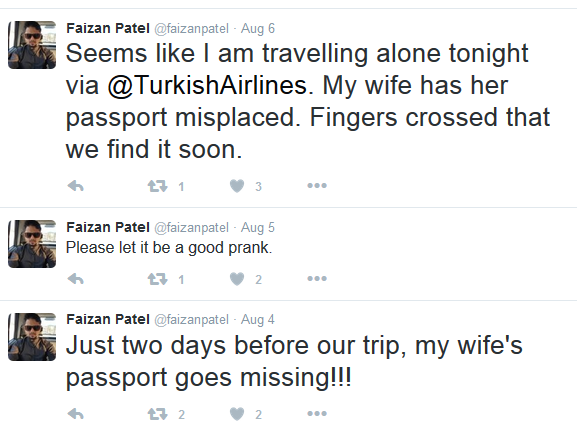 Fortunately for Faizan, Swaraj caught sight of the tweet and replied, asking his wife to get in contact and promising the speedy issue of a duplicate passport. She now has the passport and should join her husband any time soon.